Whether you are in here for business or pleasure, our studio apartments for rent Bucharest are located in a magnificent quiet environment away from the hustle and bustle of the city. If your traveling plan includes staying more than a few days, we recommend one of our studio apartments for rent Bucharest. With a welcoming and cozy atmosphere, each of our studio apartments for rent Bucharest has been comfortably decorated with the aim of making you feel like home. There are many affordable apartments for rent Bucharest where you can spend a wonderful time, relaxing after a hectic business day. Through the modern interior and perfect location, right in the heart of the city, all our studio apartments for rent Bucharest offer all the comfort you need. 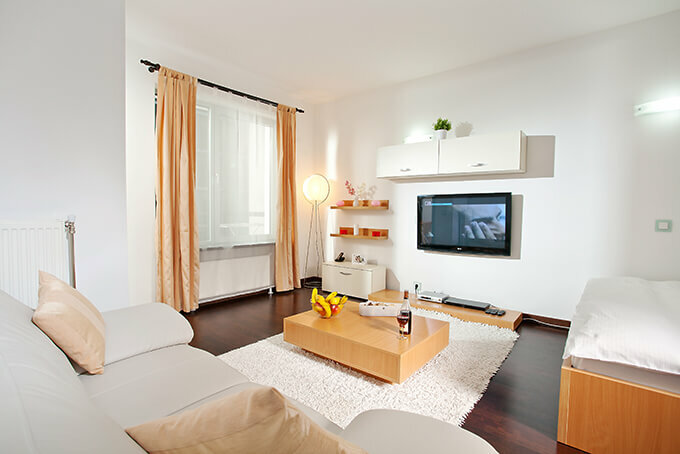 We fully understand the need of functionality, comfort of amenities, nimble and the traditional welcoming manners, so when staying in one of our studio apartments for rent Bucharest, all your expectations will be fulfilled. Offering breathtaking views of Bucharest finest urban scenery, all our rentals whether you are interested in a 1 bedroom apartment to rent, 2 room apartment or are on the lookout for 3 rooms apartments to rent short term are located in the center of the city. They come with fully equipped kitchens, satellite-TV, high-speed Internet and climate control. 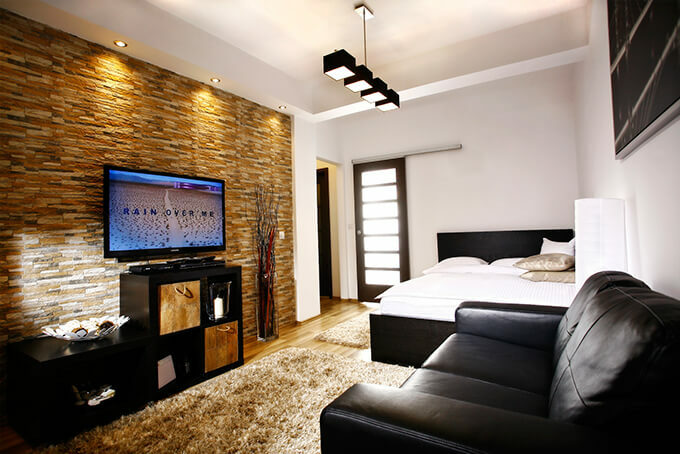 Whether looking to rent apartment in Bucharest short term or long term, our studio apartments for rent Bucharest are considered the best due to our continuous up-dating of their facilities. These apartments are centrally located, with easily access to public transportation and dining. The nightlife in Bucharest is very enjoyable, there are cafés, bars, and amazing restaurants. There also art galleries, museums and many other historic sights to be found in the city of Bucharest. Make the most of your stay in Bucharest by choosing one of our centrally located luxury studio apartments for rent Bucharest and don’t be surprised if you’ll end up calling it your second home! This Asmita Gardens studio apartment is a breath of fresh air, high above the Dambovita river in a tranquil and picturesque area of Bucharest. Metro Mihai Bravu connects you to the city center, Old City, and major attractions within minutes. Fresh, clean and newly built with a full kitchen and gorgeous balcony. This Asmita Gardens studio apartment is a true riverside Oasis with a beautiful terrace and a view for miles. Tastefully decorated with a great use of space, it’s nestled between two of Bucharest’s largest nature reserves, a short ride to the city center, in the newly built, highly desired Asmita Gardens towers.